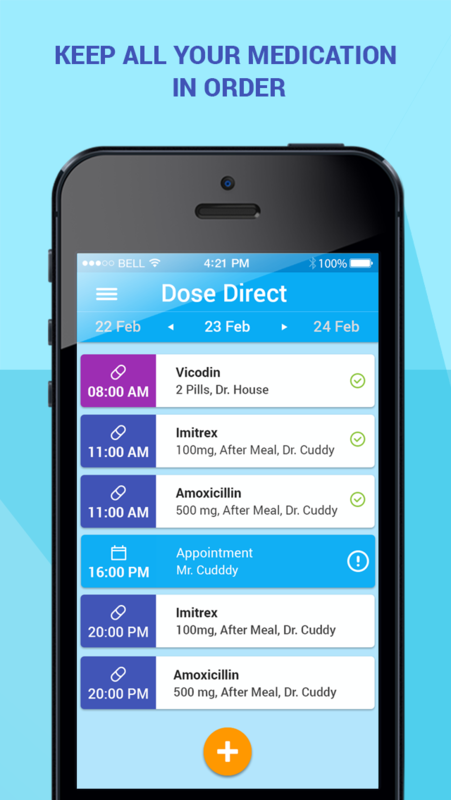 Dose Direct is all your medicine scheduling needs rolled into one beautiful app. 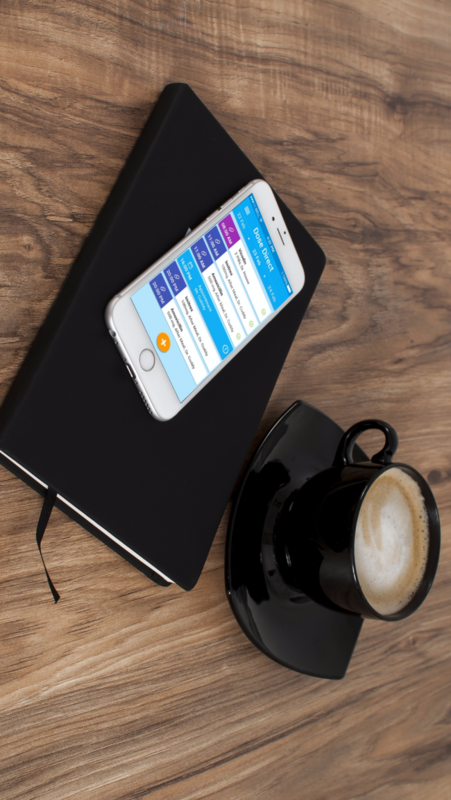 With simple & elegant timeline, detailed inventory and smart notifications, Dose Direct takes away the hassle of users who juggle several medications at once, and makes sure they never miss a single dose ever again. It’s supposed to be that simple. But if it is, we wouldn’t see statistics like this. - 80% of patients have occasionally missed at least one dose. - 20% to 80% of patients make errors in taking medication. - 20% to 60% of patients stop taking medications before being instructed to do so. - Less than 50% of patients with chronic conditions adhere to medication. Aside from treatment failure, patients’ not correctly following medication instruction can cause an increase of $2,000 per patients in annual physician visits. 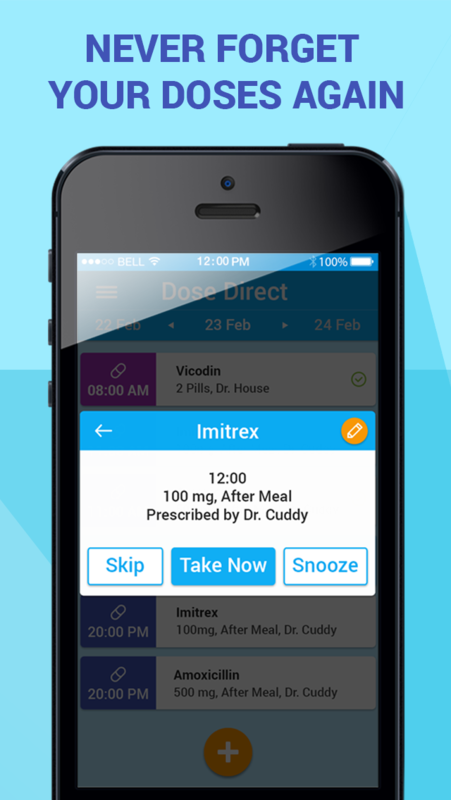 Dose Direct is the one stop for all your medicine scheduling needs.